Want first science with extra snap and crackle? Fizzing with fun and colour? And really easy to learn? 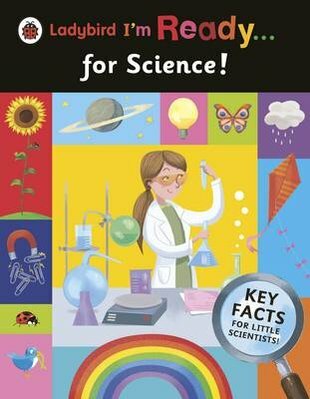 Then you’re ready for this bright and beautiful Ladybird book: your all-in-one crash course in having fun with science. Exciting topics. Bright colour pictures. Fantastic facts. Playful activities. Real science experiments. Must-know basics. All linked to your school routine. Go in as a normal kid. Come out as a super scientist. What could be better? Not much!